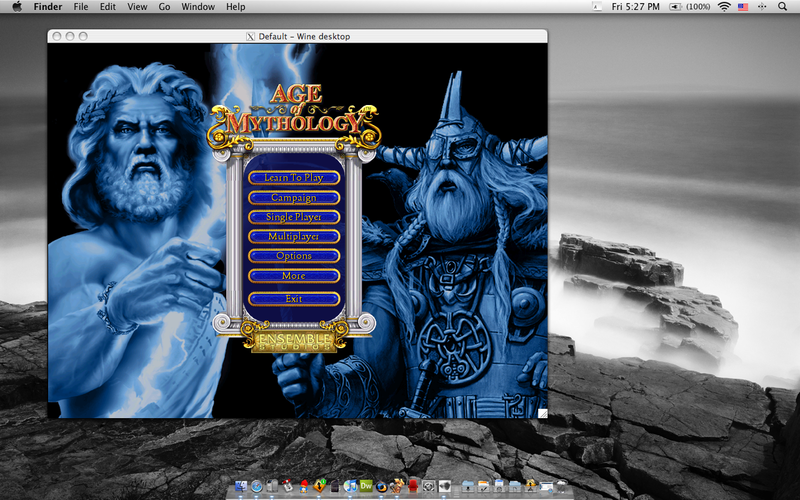 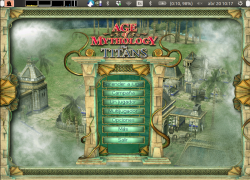 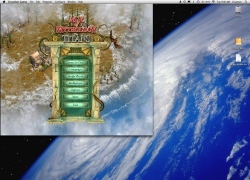 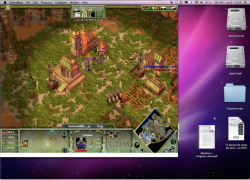 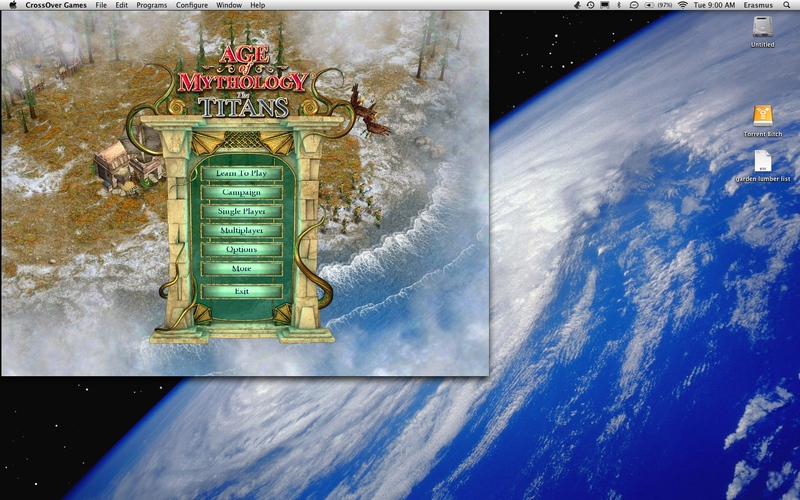 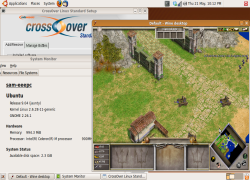 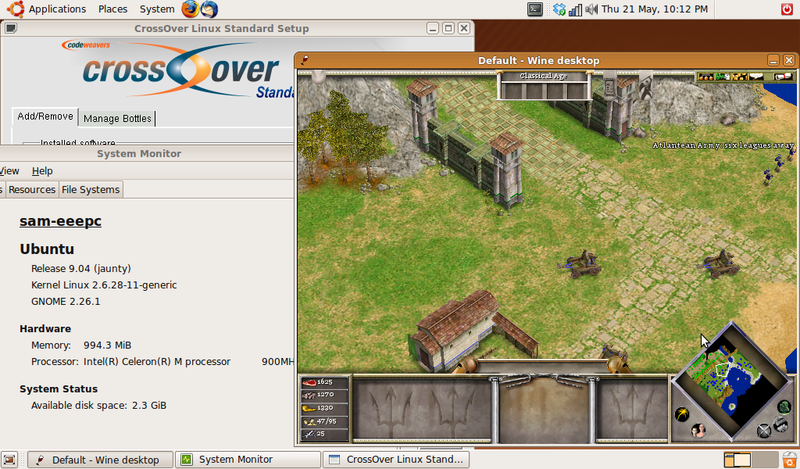 Linux CrossOver Standard 7.10 on Ubuntu 9.04 running Age of Mythology. 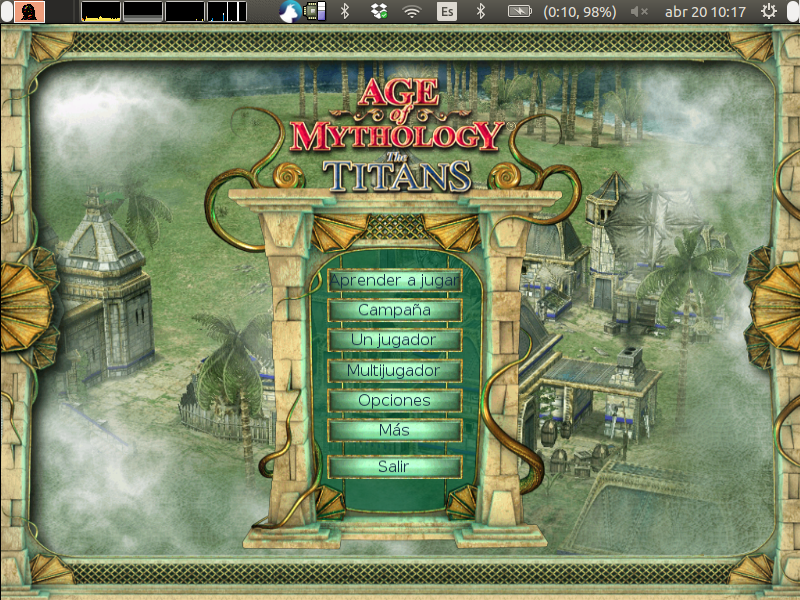 Here is the game running in 1024x768. 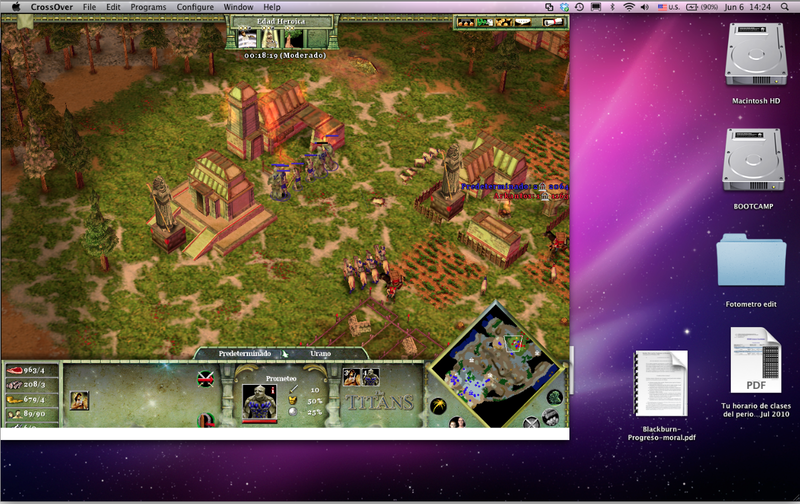 Notice that the shoreline is rendered properly, as is the fog of war.